Why Should You Use Facebook (and Instagram) For Your Business? There has been this debate going on for a long time that Facebook is useless to set up your presence there. But that is not true and practical at all. Many of the business owners do not understand the significance of Facebook and how it can benefit them. The simple fact is that the Facebook family, including facebook.com and Instagram, has more active users than ALL other social networks combined. Some business owners are only interested in smaller networks like Google+. In my opinion, that is just a waste of time as the recent research reveals that "Nobody is using Google+". If you do use social media but don't have a Facebook business page, it is highly recommended to set up your page there immediately. 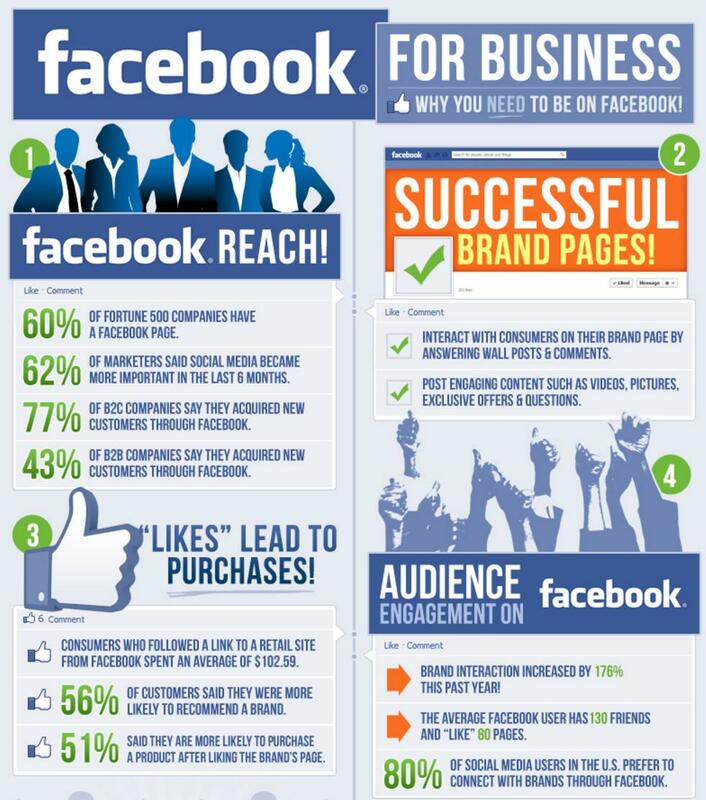 Below are the top notch reasons that you can easily find how much Facebook is effective for your business. 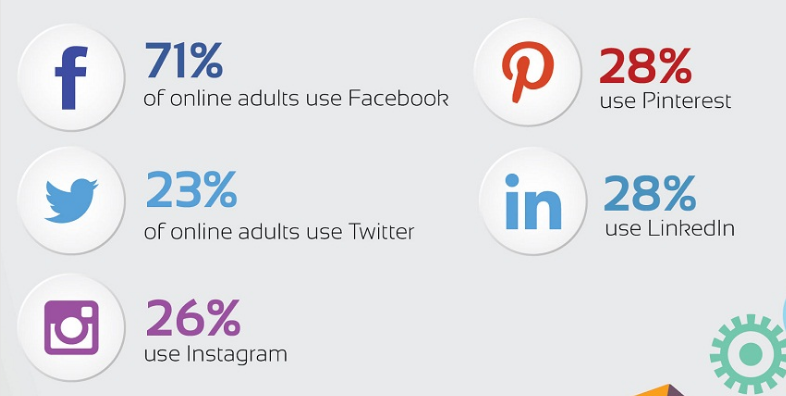 With more than 1.55 billion active users, Facebook still holds the 1st position among all social media channels. Instagram, a photo sharing network owned by Facebook, also had reached 500 million monthly active users in 2016. Obviously, missing out this biggest segment of the market would be your strategy’s pitfall. The 2016 State of Marketing Report revealed that Facebook is the top most social channel for marketers. 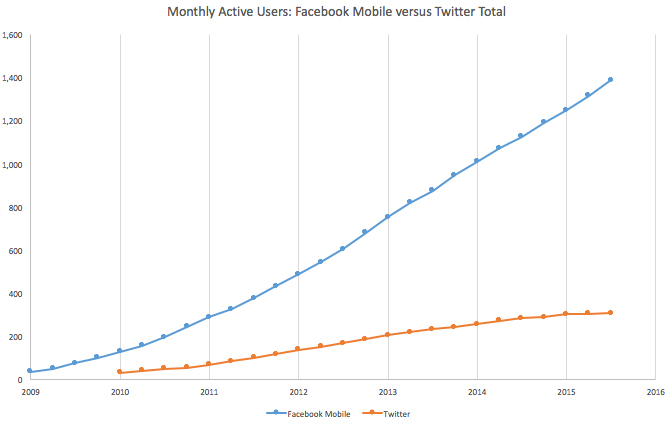 The below chart is showing you how Facebook has been squashing its largest competitor, Twitter. 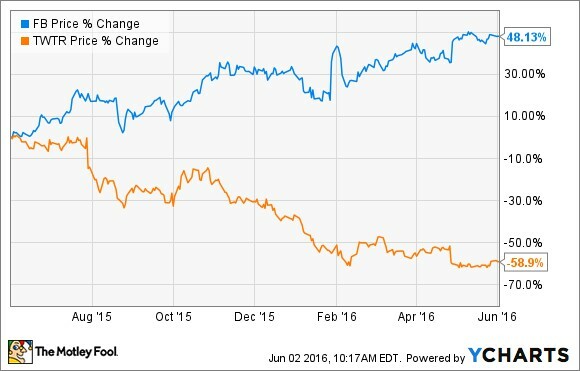 Facebook Inc (FB) stock price vs Twitter (TWTR). Facebook is the future of social media marketing. Invest into the future! With a load of benefits, the Facebook page is useful for any kind of business. Even if you are not a store front, but a B2B manufacturer; you can do a lot with Facebook page. Driving the highest percentage of referral traffic, this social network can bring potential visitors to your page. Thus, converting those visitors into customers as well. Having a high number of likes definitely, gives you an edge in generating successful leads for your business. But gaining likes is not everything in running a business. It is not necessary that every like will be transformed to your customer. Facebook in actual, increases the probability of lead generation by giving you a wide exposure to target customers. But it is important to maintain a worthy relationship with the community outside the realm of Facebook. By running contests, lucky draws, giveaways, you can gather email addresses of users in your database. Sending weekly emails (related to new launches, seasonal offers etc) they will be updated about your business and would probably consider your business at the time of their needs. Besides other print and media technologies, Facebook comes up as a cost – effective way to acquire genuine customers. Setting up a business page on Facebook costs you nothing at all. All you have to do is just to be creative and active while posting engaging and compelling stuff for getting a high number of likes, comments, and shares. But obviously, you would need to run ads in order to boost likes and posts. But this is quite an inexpensive form of marketing than other promotional means. In fact, they help you reach the targeted audience that might be transformed into regular customers. If you are running a business related to bakery stuff, you can easily target the audience in your geographical location having the same interest. This increases the chances of your business to enjoy long – term customers. Due to the presence of a huge number of users, you will get easily engaged with your consumers on Facebook. So, the network comes up as an effective customer support channel as well. You can easily be in touch with your target consumers and address their issues smartly. Reading and responding to different views and issues about your products or services will let your consumers trust you. This will give you sustainable customers for your business. It is somewhat connected with the above point. Yes, Facebook gives you an open ground to build your brand’s credibility, that is obviously the main thing to achieve customers. As much you are active and engaging with your consumers on Facebook, they will have more trust in your brand. Addressing their issues proficiently and timely puts a further strong impact on their loyalty to your brand. When consumers search for a particular product or service, they automatically go for the brand that has an active presence on Facebook with more positive reviews from their customers. According to the recent studies, around 62% of marketers are planning to increase their activities on Facebook. Already, the platform is flooded with a huge number of marketers who are executing impactful strategies. So, this is the right time to devise your marketing strategy with a clear focus on Facebook. This would give your business a leading edge over competitors. It was recently surveyed and found that about 47% of Americans are of the opinion that Facebook greatly influences their purchasing behavior. So, you can understand how much Facebook can help you out in gaining potential and sustainable customers. Facebook lets you know about your competitors, although, these insights are not detailed. But you will have a basic idea that how they are leading their Facebook pages. When you set up your business page, the platform allows you to add 5 similar pages. This feature will enable you to see how much ‘Likes’ each of these pages has and the increment in Likes by a week. So, if you find any of the competitors leading with a higher count, you can visit their page to see what kind of stuff they are sharing. After the mentioned reasons, you are well aware of the fact that how Facebook is stringently helpful for your business. That is why there comes an obvious need for a social media marketing software that can help you with automated Facebook/Instagram management. Fan Page Robot is the automated social media marketing software that is really handy in managing Facebook pages and posting to your Instagram accounts without a mobile phone. You don’t need to set up separate accounts for using this software, rather all you need is just your own Facebook account to get connected with the system. The system offers once – click viral content generation to produce engaging content for your Facebook pages. You can search for the most trending stuff as per your niche. Just enter the target keyword and get interesting viral content with a single click. You can avail the perks of free advertising and lead generation without spending any extra marketing cost. Above all, the software lets you enjoy a high number of likes or followers for your Facebook, Instagram or YouTube pages. You can avail this service at an unbeatable low price and have genuine (and the retaining) likes/followers for your social media pages. The above mentioned reasons are enough to know about the worth of Facebook and Instagram. They will bring potential customers for any kind of business. Being the largest social media network company, Facebook is essential for your business. So, start building your presence there with an efficient social media management software like Fan Page Robot.